Will the "fog of indecision" clear and allow planes to stay flying? While the UK’s White Paper on its future relationship with the European Union may well lift some of what Ryanair boss Michael O’Leary called "a fog of indecision", concerns remain about the potential for considerable disruption in the air transport sector. These concerns arise because of the crucial role of aviation for the economy, the regulatory environment and timing. Air transport is a critically important and growing industry for both the UK and the EU. 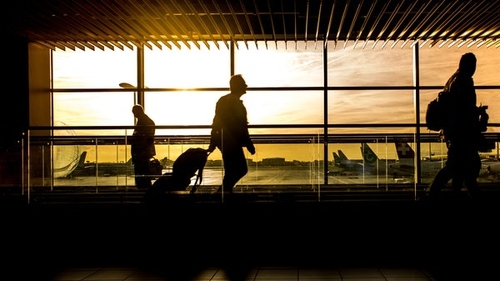 Passenger numbers have increased by 20 percent over the past five years in the UK, with some 275 million expected to use its airports this year and the projection for 2050 is 410 million. The UK boasts the second biggest aerospace sector and the third largest aviation network in the world, which contribute over £22 billion to the economy and support over 500,000 jobs. The air mode is used by two-thirds of visitors to the UK and by 40 percent of its trade (by value), whilst four out of five North Atlantic flights use UK or Irish controlled airspace. For the EU, aviation generates some €110 billion towards Gross Domestic Product annually and accounts for 5.5 million jobs. After two decades of liberalisation policies, its one billion air passengers today represent over a quarter of the global market. Air transport is one of the world’s most regulated sectors. Currently, over 35 pieces of EU legislation set out how EU are carriers are licensed, where they can fly, how they can market products, how passengers are compensated for non-performance, how the environment must be protected, and what safety precautions they must observe. In the case of traffic rights, the EU centrally negotiates Air Services Agreements (such as the EU-US Open Skies Agreement of 2007) with third parties. The UK’s White Paper states that it will "explore options for maintaining reciprocal liberalised access through an Air Transport Agreement". But if it refuses to accept the role of the European Court of Justice (ECJ) as a "red line", it may have to negotiate bilateral Air Services Agreements with hundreds of countries on a bilateral basis, with limited time and reduced bargaining power. The complexity of this regulatory environment is also evidenced by the number of agencies involved in managing them. A central one is the European Aviation Safety Agency (EASA) whose mission is to provide safe air travel for EU citizens in Europe and worldwide for its 32 members (the current 28 EU member states and the four associated countries of Iceland, Liechtenstein, Norway, and Switzerland). The phrase used in the UK’s White Paper in this regard is to "seek participation" in the EASA, but quite how this would be governed in terms of the ECJ is unclear. The European Common Aviation Area (ECAA) is the EU’s single market for aviation for the EU-28 and 8 other countries, but it also relies on the ECJ to enforce the relevant legislation. As airlines sell seats up to a year in advance and, as World Trade Organisation (WTO) rules do not apply to air transport, the urgency to address the plethora of issues involved is obvious. The "nothing is agreed until everything is agreed" and "no deal is better than a bad deal" mantras appear appropriate in the context of aviation because, as of now, there will be no legal basis for flights to operate in or out of UK airports after March 29th next, just eight months away. Anyone got a schedule for April 2019? Whilst the EU has published no official response to date, one can expect its negotiators to - at the very least - look for a larger "divorce settlement" and an explicit acceptance that the UK will be a "rule taker" if the White Paper’s objectives are to be achieved. Otherwise, the current headlines regarding air travel disruption caused by Ryanair’s industrial relations difficulties will pale into insignificance compared with the chaos to come.